This course aims to improve overseas student's general English level. Once the course has finished, students should be ready to enter the next class. 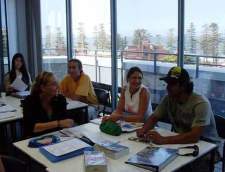 The general English classes also form a basis for students to move on to more specialised ares such as IELTS Test Preparation.Students will develop their English language skills through a range of tasks designed to develop their skills in readying, writing, speaking and listening as well as improving their pronunciation and knowledge of grammar. This course is for students who students who want to expand their English communication and conversation skills in everyday situations and students who wish to develop their competencies for further their studies. General English course is based on the popular Cutting Edge series of course books with supplementary tasks and materials that are designed to meet the student’s needs. Embassy heeft meer dan een half miljoen studenten geholpen om Engels te leren. Sommigen hadden het nodig voor hun werk, sommigen voor hun studie. Anderen hielden gewoon van de taal. Maar ze hadden allemaal één ding gemeen: ze dompelden zich onder in een Engelssprekend land en leerden veel meer dan alleen grammatica! Je vindt ambassadescholen in Amerika, het Verenigd Koninkrijk, Australië en Nieuw-Zeeland. We bieden de cursussen die u nodig hebt, van een korte 'top-up' van uw taalvaardigheden tot een intensieve examengerichte klas. We maken onze lessen leuk, omdat we geloven dat wanneer je plezier hebt, je nog meer leert. Onze leraren zijn allemaal gekwalificeerde, ervaren professionals die verschillende technieken in de klas gebruiken: het ene moment doe je misschien groepsdiscussies, het andere moment, in paren of individueel. Onze studenten komen van over de hele wereld - je zult de kans krijgen om vrienden te ontmoeten en te ontmoeten met mensen uit verschillende culturen, die allemaal de gemeenschappelijke taal van het Engels spreken. Je vindt onze Sydney-school in Darlinghurst, een levendig centrum vol met restaurants, winkels, nachtclubs, musea en parken. Het is slechts een korte afstand naar het centrum en de beroemdste bezienswaardigheden van Sydney: het operagebouw, de havenbrug, de Sydney Tower en de botanische tuinen. Terwijl je geniet van alles wat de stad te bieden heeft, inclusief het verbluffende gemiddelde van meer dan zes uur zonneschijn per dag, baseer je je studie op onze moderne school. Het gebouw wordt gedeeld met onze zusterbedrijven Charles Sturt University en Martin College, dus het is een drukke campus, vol met Australische en internationale studenten. Van de schitterende blauwe haven van Sydney, omlijst door onze wereldberoemde 'kleerhanger', de Harbour Bridge, het architectonisch verbluffende Opera House, naar het bruisende hart van het zakelijke centrum van de stad. Met zijn glorieuze stads- en voorstadstranden, tuinen, parken en een levendig sociaal centrum, biedt Sydney de reiziger een ongeëvenaard scala aan ervaringen en de student een perfecte achtergrond om Engels te leren en studeren in Australië. Welkom bij Kaplan International Sydney City. Dit ultramoderne state-of-the-art college beschikt over een grote bibliotheek met gestructureerde studie multimedia-faciliteiten, meerdere computerruimtes met gratis internet, groot zonovergoten en geklimatiseerde klaslokalen, een lift en een studentencafé met een balkon. Het moderne, architectonisch ontworpen, art deco universiteitsgebouw is gelegen in het centrum van de stad aan de zuidkant nabij winkels in de binnenstad en Chinatown. Het 6 verdiepingen tellende gebouw heeft een prachtig ontworpen interieur en exterieur. Learn English & live in your private teacher's home around Sydney with Home Language International! Home Language International (HLI) is a family-run business offering language courses in more than 20 languages in over 30 countries worldwide, including English lessons at an experienced private teacher's home in Australia. More than 5,000 students take advantage of our services every year. Ian Josephs, Danielle Josephs, their 5 adult children and an expert team of dedicated staff all put in very long hours for HLI. You stay in an experienced teacher's family home, have one-to-one English lessons and then continue to use the language during the rest of your stay in Sydney. Because you are the only student, you are guaranteed individual attention. The lessons are completely designed for you, so the teacher will focus exactly on what you need. Mealtime conversation, television and social contacts are all in English. All of our teachers in Australia have a university degree (or equivalent) and/or a recognised teaching certificate. All teachers have been visited by one of our local organisers. Their qualifications have been checked and their homes throughly inspected. During your stay in Sydney, a local organiser will monitor your progress and make sure your experience is both happy and successful. Home Language International (HLI) is accredited by the Accreditation Body for Language Services (ABLS), Association of Language Travel Organisations (ALTO), and UNOSEL. Perfect Location in the heart of Sydney CBD Vibrant Campus Environment Quality Teaching Staff Academic Excellence and Support A caring friendly staff here to help you with every aspect of life in Australia. Modern school with up-to-date amenities and facilities. Small classes taught energetically and enthusiastically. Meet Students from All Over The World to help you to practice your English and make friends, we organise many social events. Academic Pathways Into universities, TAFE, high schools, colleges and primary schools. If accommodation is needed, it should be booked at least 3 weeks before your arrival. The outstanding weather as well as sights like the Harbour Bridge make Sydney one of the favourite destinations for international students during the whole year. Hence, why not enrol for a course in Australia’s liveliest city and become an admirer yourself? 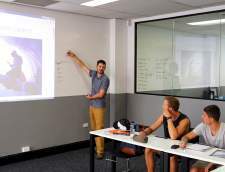 At Eurocentres Sydney you will find yourself in spacious classrooms with natural light and in close proximity to the main attractions as well as to surfing beaches like Bondi and Manly. Within walking distance are shopping malls and restaurants. Sydney, where your language stay will be as exciting as this vibrant Australian city. Astley is the place where English learning meets the authentic Australian experience and where you not only get to improve your language skills, but also become part of a supportive community of students and staff who are always here to look after you. Conveniently located in the heart of Sydney, our college provides quality courses which nurture students to become successful communicators in English and to be well-prepared if they wish to further their studies in vocational training (VET) and Higher Education courses. Here at Astley we believe that in order to have successful outcomes, the whole learning process should be enjoyable and meaningful. Our campus is spacious with a friendly atmosphere. Our qualified teachers prepare engaging activities in and out of the classroom to help you reach your language goals. All of our staff members are approachable and ready to offer any assistance you may need to make your time here rewarding and worthwhile. Through encouragement and motivation, we deliver good sound education to enable our students to develop into successful and contributing members of the community. Students can choose between our General English Courses and IELTS Preparation Courses. There are two timetables, a day timetable and an evening timetable. The day timetable runs from Monday to Wednesday, from 08.30am to 4.15pm with three breaks to socialise and eat with other students. The night timetable runs Monday to Friday, from 5.15pm to 9,30pm, with one 15-minute break to socialise and recharge. We all know that language learning doesn’t just happen in the classroom! Our lessons combine different materials and techniques to cover all different aspects of English, but you still need to put in practice what you learn in the real world. This is why we supplement our curriculum with exciting electives and special skill classes, to help students in the areas they feel less confident in. We focus on subjects such as pronunciation and speaking, business English, media and film, Australian life and culture, presentation, debate, and much more. Life is never dull at Astley. Our staff is incredibly dynamic, and always looking for ways to enhance your student experience. 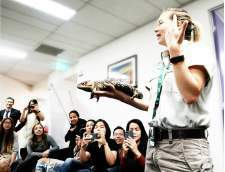 We make sure to organise as many social activities and excursions as possible for our students, both during the week and at the weekend, so that everyone gets a chance to put their newly learnt language skills in a real context – all while exploring beautiful Sydney and Australia at the same time! The Sydney campus is located inside the iconic Woolworths building, opposite Sydney’s Town Hall. It is conveniently located in the Central Business District, close to major bus routes and the train station, and is just a few minutes’ walk from Pitt Street Mall, Darling Harbour, and beautiful Hyde Park. Sydney is Australia’s oldest, largest and most diverse city, with a population of over four million people. This vibrant, cosmopolitan city is a popular tourist destination with a huge range of sightseeing options. Play outside at one of the 30 surf beaches including the legendary Bondi Beach or enjoy strolling along the beautiful harbour, blooming with sailboats. Visit the world-famous Opera House, dine at edgy restaurants or explore urban galleries celebrating indigenous aboriginal art. International House Sydney is one of Australia’s most highly regarded English language and Teacher Training centres. 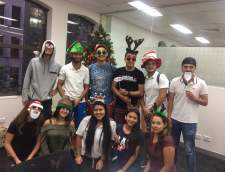 Established in 2001, International House Sydney is an industry leader in both teaching English to international students and training teachers to lead those classrooms. English language ability is seen as a key step in establishing and developing a successful career in the globalized world. International House Sydney offers a great opportunity to achieve individual student goals with English. With a great range of English programs taught by experienced and highly trained teachers in a relaxed and friendly atmosphere, students will be assured of a rewarding experience. Our classrooms are custom built for language teaching and TESOL training. They are spacious, comfortable and well-equipped with modern audiovisual equipment. Our students and trainees also have access to computers and Wi-Fi throughout the centre, and study rooms for self-access. In addition, we provide a lounge area and kitchen facilities for our students’ comfort. When you study with us, it’s not all hard work! We offer a wide variety of free activities during the week and excursions on the weekend. 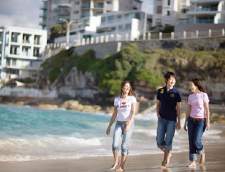 International House Sydney organizes free activities for students every week, and day trips to explore the areas surrounding Sydney every weekend. You will find our program a great way to see Sydney, practice your English and make lifelong friends. With classmates from all over the world, students not only enhance their English skills, but they also experience a variety of cultures. International House was founded in 1953 with the aim of providing an innovative approach for learning English and other languages. The International House World Organisation is today made up of 160 schools in over 50 countries worldwide. short 15 minute ferry ride across the iconic harbour from Sydney City, Manly is a world away from the hustle of the business district. 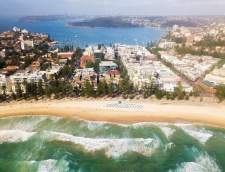 Lexis Sydney sits right in front of the golden sands of Manly Beach, part of the beachfront strip containing some of Sydney’s most popular cafes, restaurants and bars. Manly is the birthplace of Australian surfing and still is one of the world’s premier surfing breaks, with professionals and beginners alike drawn from far and wide by the fantastic waves and the beachside lifestyle that Manly offers. With short travel time to homestays and student accommodation and plenty of part time work opportunities. Lexis Sydney offers the very best of the city and the beach! Of u nu een student, zakenman of reiziger bent, er is een taalcursus in Sydney wat bij u past. Er zijn talencursussen beschikbaar voor alle spreekvaardigheid niveaus, leeftijden en duur. Kies een cursustype uit onderstaande lijst om te beginnen. Algemene cursussen Engels zijn voor volwassenen die hun spreek-, luister-, lees- en schrijfvaardigheid in het Engels willen verbeteren. Meeste taalcursussen zijn voor volwassenen van 16 jaar en ouder. 2 - 48 week taalcursussen verkrijgbaar. Meeste intensieve cursussen in Sydney hebben gemiddeld 30 lessen per week.